Kalank is an upcoming Indian movie which is based on romantic, and Hindi-language period drama directed by Abhishek Varman. This movie will be released on April 19h,2019. The leading roles of the movie are Madhuri Dixit, Sonakshi Sinha, Ali Bhatt and Varun Dhawan. In this movie, Kriti Sanon has a special appearance. 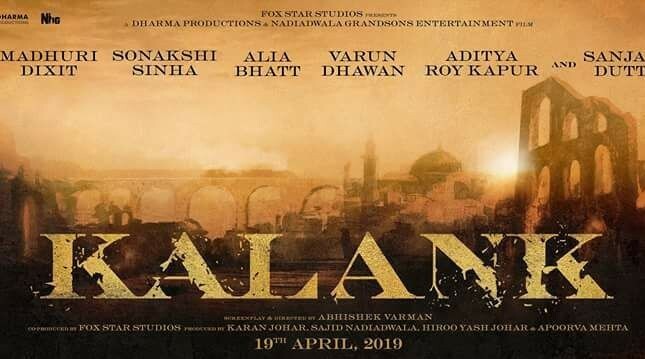 If you are looking for Kalank movie cast, release date, trailer, photos, and songs list then you can find these details here. You can also find the public opinions and reviews about Kalank movie here.